SEO Basics: What Is Keyword Difficulty and Why Is It Important? - SEMScoop SEO Basics: What Is Keyword Difficulty and Why Is It Important? It’s not hard to compile a list of keywords that you want to use on your website. 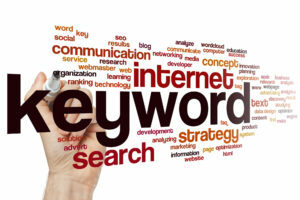 By using these keywords, you hope that they will help your website rank better. But keywords aren’t created equal, nor do they have the same effect on your SEO results. So which keywords should you use to get your content to rank higher on search engines? It’s no secret that search engine optimization (SEO) has risen to prominence. In its wake, something known as keyword difficulty has also grown more prevalent. But what does it mean and why is it so important? Have you ever wondered why some websites rank higher than other sites after you search for a word or phrase? The answer to this boils down to the Google algorithm. Nobody (except for the guys at Google) knows this algorithm verbatim. But the SEO industry has a pretty good idea of the ranking factors that form it. Interesting and useful content goes viral all the time. But the use of keywords in a piece of content can also affect a website’s SEO score. Keywords are the words and phrases that people look up on Google and other search engines. When websites feature them in content, Google ranks a site based on its relevance to the keywords. Using keywords in content creation is not a free-for-all. It’s not as simple as someone saying, “I’m going to use these keywords in blog posts and that’s that.” There’s more research involved, and there are strategies even with that. Of course, you can begin your list of keywords with some good guesses. You may know some of the types of questions your web viewers and customers ask on a frequent basis. If you sell products on a website, then the names of those products can function as keywords. But keyword research is also about staying up-to-date with your target audience. It’s about knowing what their evolving interests are and what type of language they use. Keyword difficulty, by definition, measures how competitive a word or phrase is. And there are metrics involved with measuring this competitiveness. Keyword data not only tells you how often people search for a word or phrase. You can also indicate how well your content will perform based on this data. A popular keyword that’s frequently searched for is harder to make use of. Some keywords get millions of searches every week. Websites that use these high-frequency keywords end up getting lost in the sea of SERP’s. By the same token, keywords with low search numbers are no good, either. Keywords that are rarely searched for are simply not relevant. And because of this, content that uses them won’t jive with Google’s algorithm. How exactly do you measure the difficulty or competitiveness of a keyword? How do you find alternative keywords that perform better than other words or phrases? Using an SEO keyword research tool can save a lot of time and hassle. It begins by searching a word or phrase in a keyword tool. Again, you can come up with these words based on what you already know about your website’s niche. Then, the research tool compiles data on these words or phrases. It will also provide data on alternative variations of these keywords. The data provided will show the current search volume of the keywords. They’ll show how many times the keyword gets searched for per month. The data even shows the historical trending of these words in the form of graphs. This data is helpful for knowing which keywords are growing in popularity. That way, you can map out your keywords and plan in advance. There’s more to using an SEO keyword research tool than search volume numbers. The data provided can also show you where your numbers come from. Not only is this helpful for understanding where your audience is. It will also help you branch out your website to other target locations. Let’s say you’re an electrician and run your own website. You’ve got your local target audience. But you want to reach out to more potential customers in a nearby city. A research tool can help you see which relevant keywords people in that city search for. That’s not all. You can also research keyword data in other languages. This is great if you wish to diversify the demographics of your audience. What’s better? If there are certain words or phrases you don’t want to use, you can easily filter them out. What Else Affects Keyword Metrics? Finding a goldmine of the best keywords is certainly a great step in the right direction. But a website won’t strike it rich simply because it uses these keywords. If only it were that simple. The truth is that there are other components within Google’s algorithm. And they can all work for – and against – keywords. A website with a higher domain authority will outperform websites with smaller audiences. It doesn’t matter if they all use the same keywords. Domain authority is, more or less, the measure of a website’s worth. Google places a greater value on websites with higher visitor frequencies. Google also values websites that have pages and pages of high-quality content. Of course, using optimal keywords can help a website garner more visitors. This, in turn, can improve a website’s domain authority. But keywords alone can’t do this. Did you know that the average reader only spends 15 seconds on a web page? And there are many reasons why someone may wind up clicking away from a website within 15 seconds of landing on it. Walls of text lead to readers tuning out and losing interest. Spelling errors can leave people with a bad taste. But ultimately, if people don’t find the content interesting or useful, they’ll look elsewhere. And how long people spend on a website can affect its SEO ranking. Keywords can get more people to visit a website. But the quality of the content is what will keep them interested for longer. If the quality is bad, the keyword proves useless. Ready to Dominate the Search Engine Pages? Choosing the right keywords can make or break your SEO marketing strategy. By understanding keyword difficulty, you can choose keywords that will garner real results. But looking for the best keywords doesn’t mean you have to spend hours researching, either. That’s where a keyword research tool comes in. With SEMScoop, you can find easy metrics on long-tail keywords and get the best results every time. To find out more about our keyword tool, contact us today!